Tickets are available now to attend The Prom at the Longacre Theatre on Broadway. Get suited up, folks! The Prom is coming to town! Directed and choreographed by Tony Award winner Casey Nicholaw, the new musical comedy officially opened on Broadway on November 15, 2018, following previews from October 23. This exuberant, original musical has wowed both critics and audience members a like and has established itself as a theatre geek's dream! Packed with in-jokes about the Broadway theatre community and its colorful players, The Prom lovingly pokes fun at itself and the industry in general and is widely regarded as a love letter to Broadway. This element of the production is an added bonus for those in the know. For the more occasional theatregoer, The Prom offers up a universal message of love and breaking down barriers. A high school student named Emma wants to take her girlfriend as her date to the prom at her local high school in Edgewater, Indiana, to the shock horror of the school's PTA members. She is therefore excluded from the celebrations and a motley crew of Broadway actors (desperate for some positive publicity) come rushing to her aid to fight a noble cause (albeit for self-centered motivations). In this simple premise, two worlds collide as Old School Broadway meets Middle America "High School Musical" in a clash of ideologies and cultures. These worlds are also brilliantly reflected in Matthew Sklar and Chad Beguelin's hybrid score which merges old school (numbers such as "Zazz" and "The Lady's Improving") with high school musical ("Tonight Belongs to You" and "Time to Dance") effortlessly. The latter numbers are also enhanced by Casey Nicholaw's signature, frenetic choreography in the hands (and feet) of this uber-talented ensemble. Of course, the Indiana townsfolk learn a lesson in acceptance, but the Broadway veterans also learn a valuable lesson of their own... namely, that it isn't always about them! Sometimes the spotlight needs to be shone on the injustices of the world and The Prom is doing its bit to shine its own dazzling spotlight at the Longacre Theatre. If you've ever felt like an outsider; if you've ever felt misunderstood or alone; or if you just can't get enough of an 11 o'clock number, then this Prom is one you really don't want to miss! We've got trouble, folks, right here in Indiana and when Broadway's brassiest hear a student is unceremoniously sidelined from a small-town Indiana prom – and the press is involved – they are ready to kick-ball-change the world. A new musical comedy about the power of love (and a good 11 o'clock number), The Prom is about so much more than just a dance. The heavens opened over New York City yesterday and although the snow was falling by the bucketload, the reception for The Prom - Broadway's latest musical comedy - was anything but frosty! Producers of the new musical comedy "with issues" The Prom, directed and choreographed by Tony Award winner Casey Nicholaw, have now released official production photos. 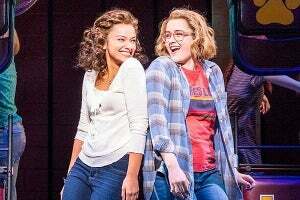 The Prom began preview performances at Broadway's Longacre Theatre on October 23, 2018, and is set for an official opening on November 15. New musical comedy The Prom begins preview performances at Broadway's Longacre Theatre tonight, ahead of an official opening on November 15. 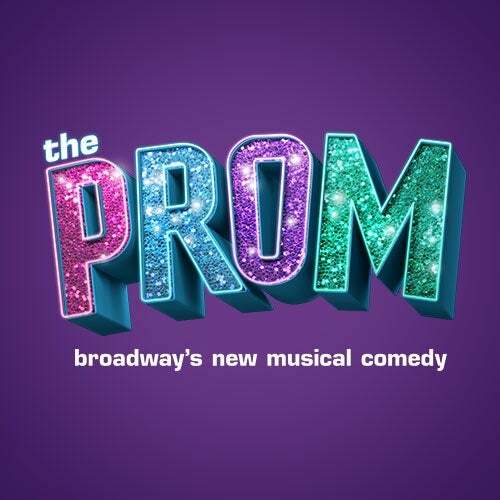 Based on an original concept by Jack Viertel, The Prom features a book by Tony Award winner Bob Martin and Tony Award nominee Chad Beguelin, music by Tony Award nominee Matthew Sklar and lyrics by Beguelin.